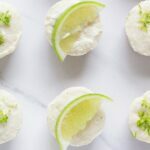 Raw Mini Lime Cheesecakes. 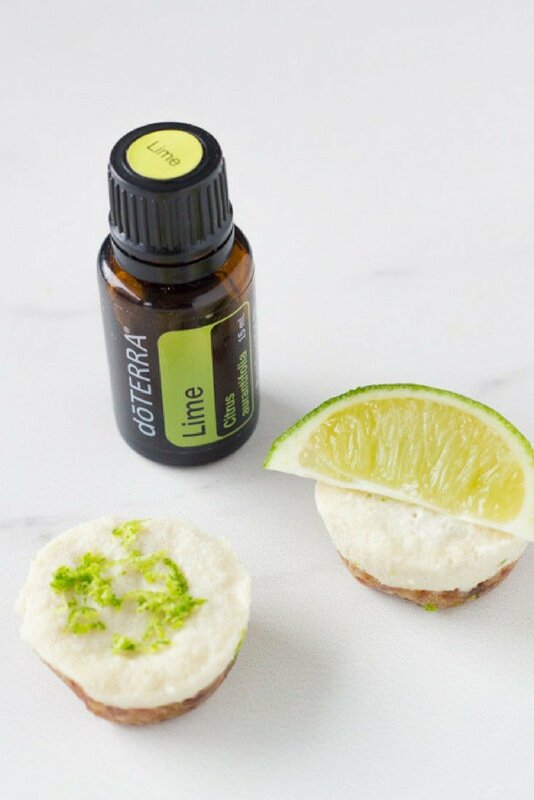 These amazing mini desserts are made with lime essential oil and are so delicious. They will not last long once you make them! You can probably tell that I am having a bit of an obsession with raw mini desserts. I have been adapting some of my classic desserts that I originally made as a slice version into mini versions. Check out my raw mini carrot cake bites and raw caramel slice bites. 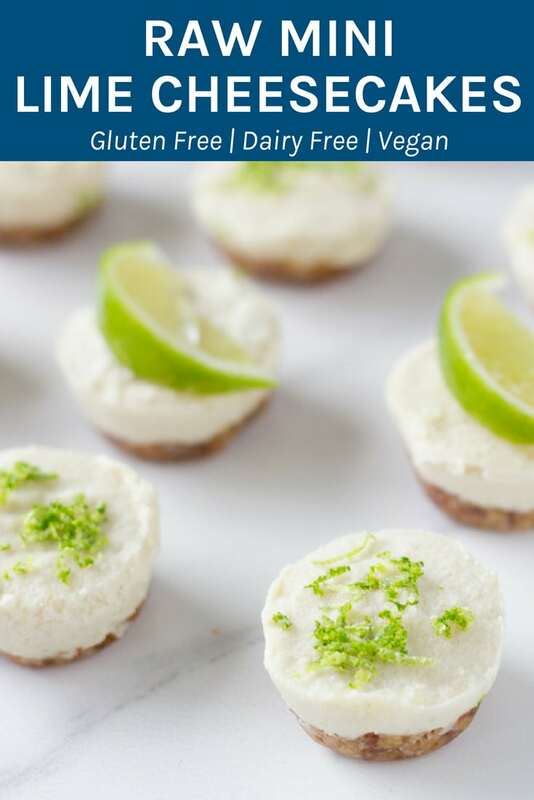 For my latest recipe, I have adapted my raw lime cheesecake into these raw mini lime cheesecakes and this time I have made them with food grade lime essential oil. Another difference from my original raw cheesecake, was the addition of coconut cream. 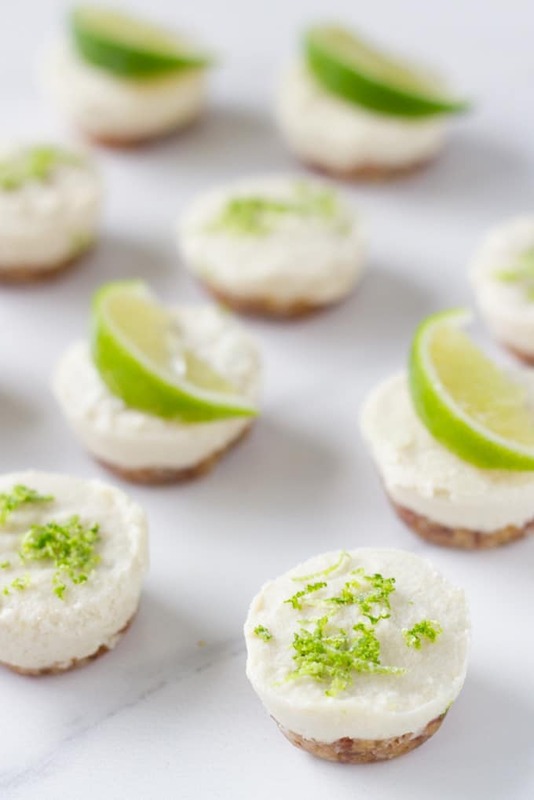 Which added a creamier consistency to these raw mini lime cheesecakes. Which is what you want in a cheesecake. 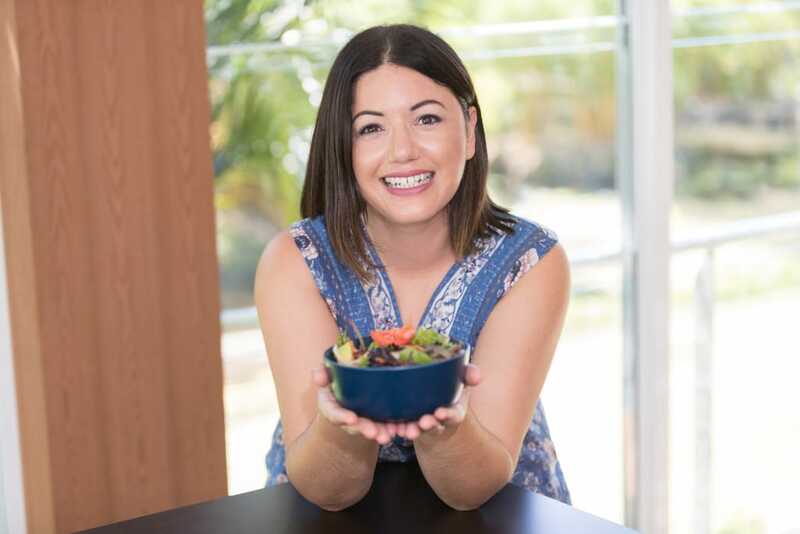 Process the base ingredients in your food processor/high speed blender/thermomix until it resembles crumbs and sticks together when pressed. Spoon mixture into a 24 mini muffin pan (see note below) and press down with the back of a teaspoon. Add the cheesecake ingredients to your food processor/high speed blender/thermomix and process until smooth. Add to the bases and smooth over with the back of a teaspoon and place into the freezer for 2 hours to set. 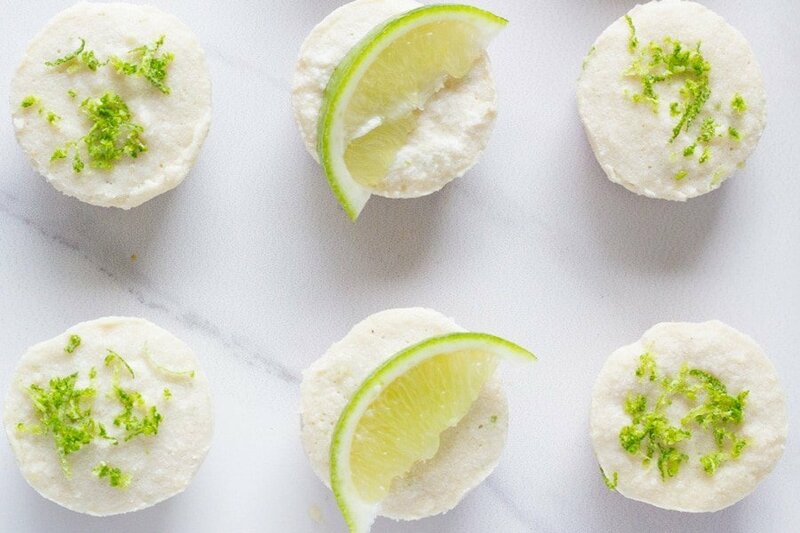 Cook time does not include the time it takes for the raw mini lime cheesecakes to freeze — approximately 2 hours, depending on the temperature of your freezer.